At a boy’s circus themed birthday, cake and party food will play a starring role! Opening gifts and giving favors will take time, too but what else will you do at your fabulous circus besides look at the wonderful decorations? Enjoy the clowns, play with balloons, talk with all the guests AND add a few of these party game and activity ideas for even more party fun! 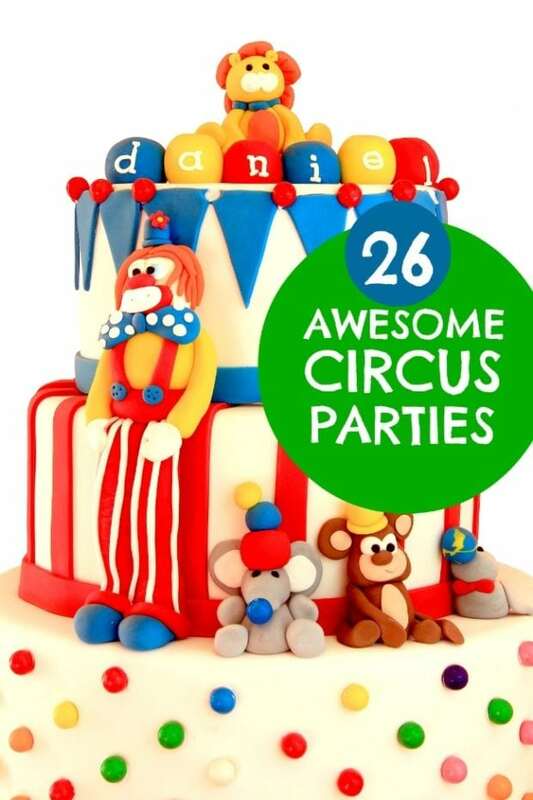 Check out these 30 fantastic circus birthday cakes. Plus, get inspired with these 25 circus themed birthday party decorations. Don’t miss these best party games for kids as you plan your celebration! Cartoon characters for coloring by guests young and old? Un-huh! Each character has a thought bubble so guests can leave personalized messages for the birthday boy. Awesome! Race looks good for some laughs! Other games showcased include Spill the Milk, Target Throw, Dunk Tank and Ring Toss. Face painting is very popular; here’s an easy idea for producing great results even if you’re not an artist. 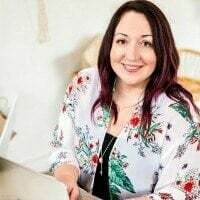 This mom had several exciting circus party ideas, but my favorites are the Ring of Fire toss game made with an embellished hula-hoop and a Kissing Booth that was actually all about guessing how many Hershey kisses were in a jar. Potato sack races, musical chairs, pin the nose on the clown, a bounce house and an art station kept guests busily engaged. Real pony rides had to have been a party highlight for the birthday boy and his guests! Find six circus booths to visit: The Clown Academy; Ring Toss; Bouncy Ball; Tin Can Alley Knock-Down; Duck Pond; and a photo booth, too. This busy party-throwing mama had a lot of games up her sleeve: Ring Toss; Pick a Duck; Hungry Clown Bean Bag Toss; Fish Bowl Game; 3 Strike Baseball Game; Tattoo Booth; Face Painting; Kissing Booth; and a Photo Booth! Illustrations for the games: Clothespin Drop; Ball Toss Bonanza; and Spray Away (using a ping pong ball and water gun). See a cut-out lion photo op, decorated cans for knock-downs, ring toss and pin-the-strongman activities here. Activities showcased here include a hopscotch mat, bowling, ride n’ play plane and over-sized clown props. Create your own fun circus themed activities with these great sources gathered by the crew at Spaceships and Laser Beams. Check out more great circus party ideas.